Whenever I pass a talus field as I’m hiking in the mountains of Oregon or Washington or Wyoming, I always look for the rocks that live and breathe, although sometimes it’s my ears that find them first. 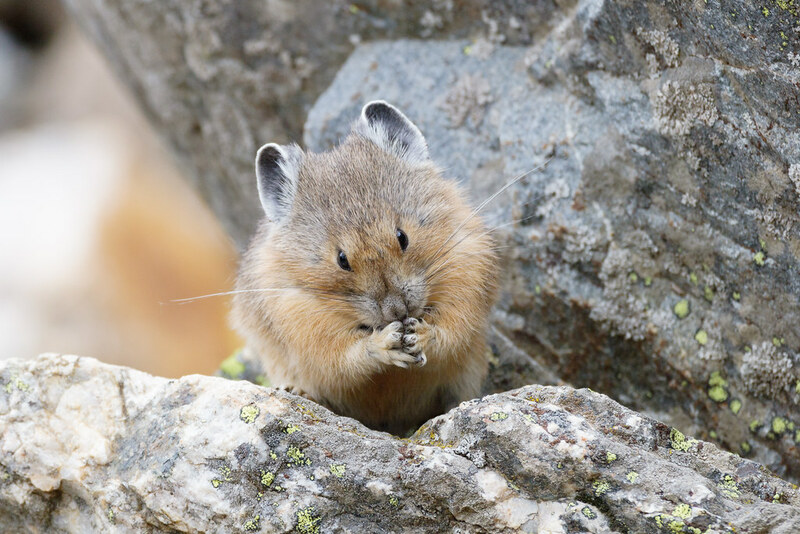 The amazing pika spends its whole life here, in the rock fields of the high places, and doesn’t hibernate in the long winters the way so many other mammals do. The warming climate is going to be hard on these remarkable creatures as they rely on snow to insulate their homes during the coldest weather. At a younger age I couldn’t comprehend why the same people who insist in the truth of Noah’s ark would so eagerly condemn such a creature to extinction. The answer would break my heart. 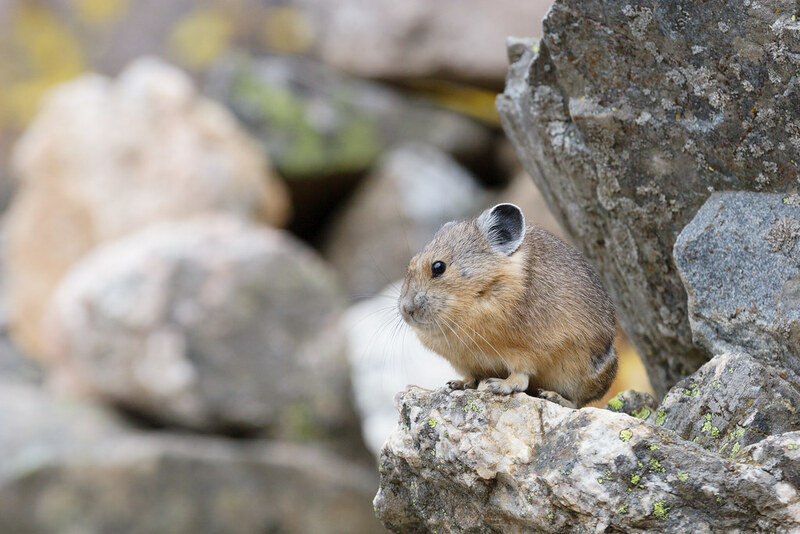 I came across this beautiful pika just below Inspiration Point on the trail into Cascade Canyon in Grand Teton National Park. I was delighted to see one again on this trip in 2006 as I fell in love with them the first time I saw one in 2005 (on the trail to Death Canyon). I had to turn around not much further up, as the trail narrowed to a small ledge on a tall cliff, and with my fear of heights even on my hands and knees there was no way I was willing to go on. 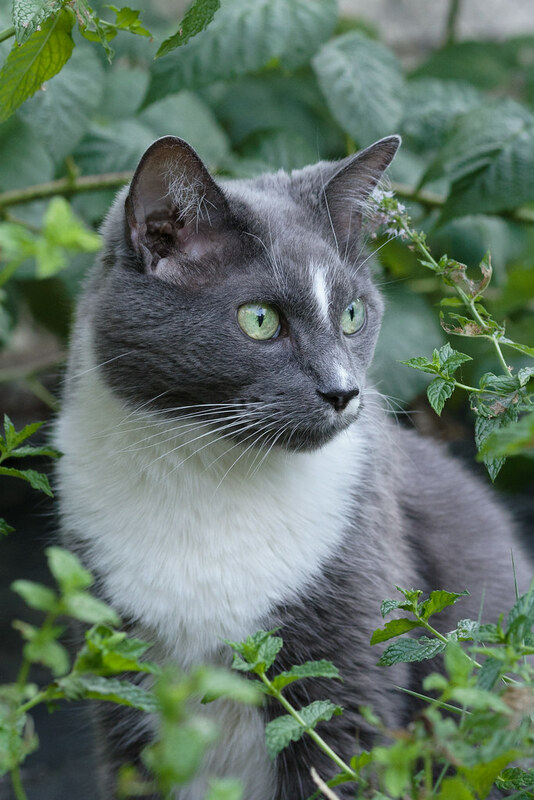 Templeton in 2006 exploring the backyard. I used to give the cats supervised time in the fenced backyard but don’t do it anymore, it was easier then with just the two of them and the yard more closed off. Everything in this picture has changed. Templeton died a year later. I dug up the mint and raspberries years later (but they keep coming back). There’s a wildflower garden there now. A happy Ellie on the day after I got back from a long trip in August. Her blood pressure is up again as is the protein in her urine so we’re upping her blood pressure meds and switching her to a kidney-friendly dog food. We’ve also added some pills to help with her arthritis as that’s been getting worse, they seem to be helping and with the aid of the cooler (and much, much wetter) weather she even made it all the way to Steve’s on our walk this morning, a rarity these days. He wasn’t out but she pooped in his yard to say hello, despite my telling her that’s not how people communicate. Age is taking its toll on her body but not her joyful spirit. A couple of the new pills she only gets for a few weeks, and thank goodness, because they aren’t coated and she hates the taste. 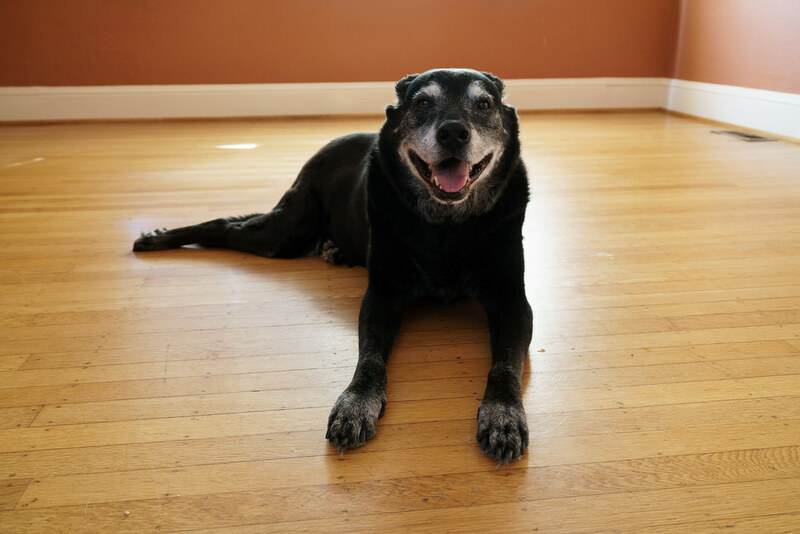 She even spits out the hotdogs we normally put her pills in, and even when I hid them in her beloved cat food, well, the sweetest dog you ever met can be surprisingly stubborn. She doesn’t hold a grudge after the battle is over, however, because she’s Ellie. 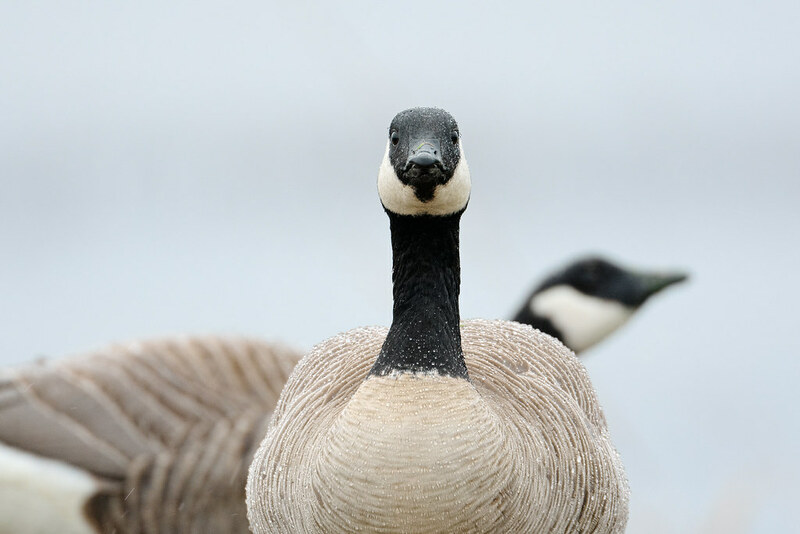 These Canada geese (or cacklers? 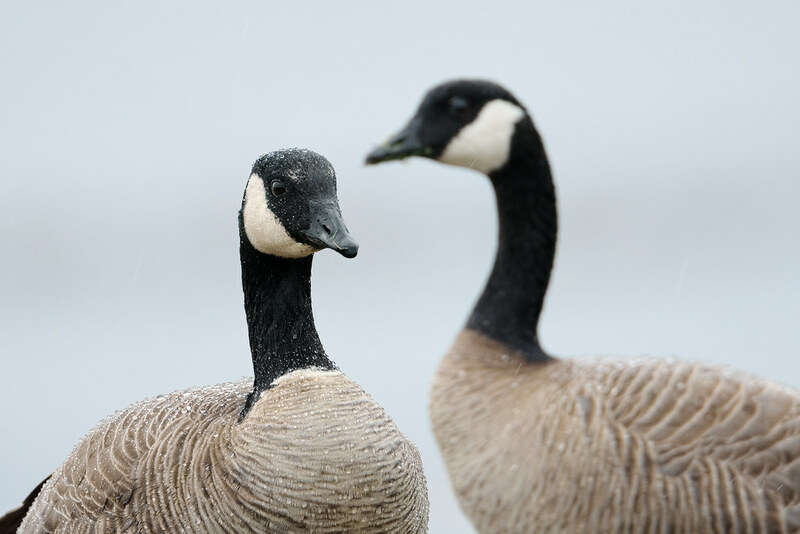 I can’t tell the difference between small Canadas and large cacklers) were eating at Rest Lake in a heavy rain when they tilted their heads back to swallow, but the difference in the poses reminded me of people acting naturally before they see a camera but posing when they realize they’re being photographed. Rage On, Mighty Pacific! I Am Not Afraid of You! A western gull yawns as large waves crash just behind it at Boiler Bay State Scenic Viewpoint on the Oregon coast. I timed this short visit to the Oregon coast to coincide with low tides around both sunrise and sunset, planning to spend some time photographing tide pools, but my plans changed when I arrived at Yaquina Head. 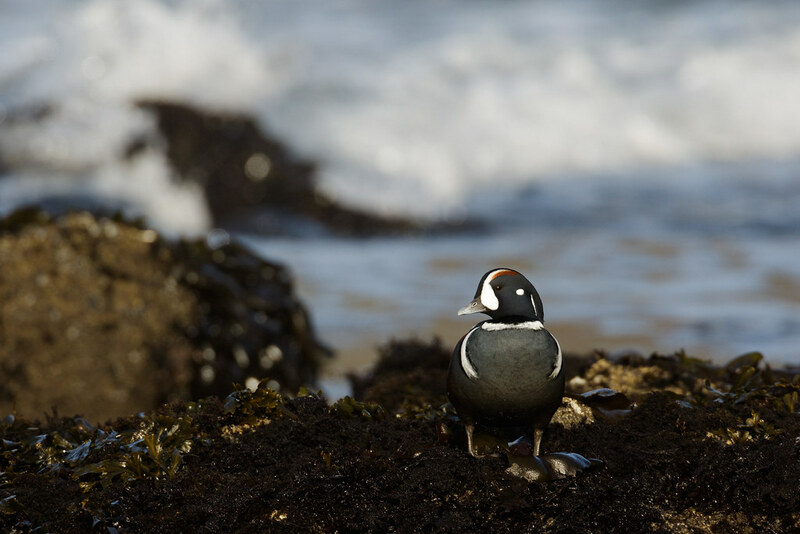 I had trouble finding subjects in the tide pools I wanted to photograph but the harbor seals were out in abundance, and then I saw a bird species I had never seen before, the harlequin duck. I spent the last morning photographing from a tide pool at least, as I had great views of both seals that had hauled out to sleep on the rocky shore and a nearby group of male and female harlequins. I was especially happy to get to photograph the harlequins in their environment as the tide came in, until the selfsame tide forced us both from our perches. I’m happy to report that I did buy some Neos waterproof overshoes before the trip and they worked a treat, keeping my feet dry each day. On this day the tide came up fully over my ankles and thankfully my shoes underneath stayed dry, as I was wearing my beloved orange running shoes so I’d be comfortable on the drive back to Portland. They fold up nicely so they can go in a backpack or in a random corner in the corner, when home I hosed them out to wash off any residual saltwater and they soon dried and were ready for the next visit to the coast.